WASHINGTON — Momentum is gaining in Washington for a privacy law that could sharply rein in the ability of the largest technology companies to collect and make money off people’s personal data. A national law, the first of its kind in the U.S., could allow people to see or prohibit the use of their data. Companies would need permission to release such information. If it takes effect, a law would also likely shrink Big Tech’s profits from its lucrative business of making personal data available to advertisers so they can pinpoint specific consumers to target. Behind the drive for a law is rising concern over the compromise of private data held by Facebook, Google and other tech giants that have earned riches by aggregating consumer information. The industry traditionally has been lightly regulated and has resisted closer oversight as a threat to its culture of free-wheeling innovation. The big tech companies have been nervously eyeing a tough privacy law taking effect next year in California. That measure will allow Californians to see the personal data being collected on them and where it’s being distributed and to forbid the sale of it. With some exceptions, consumers could also request that their personal information be deleted entirely. On Tuesday, a House committee will press Google and Facebook executives about another urgent concern involving Big Tech: Whether they’re doing enough to curb the spread of hate crimes and white nationalism through online platforms. The Judiciary Committee hearing follows a series of violent incidents fueled in part by online communication. 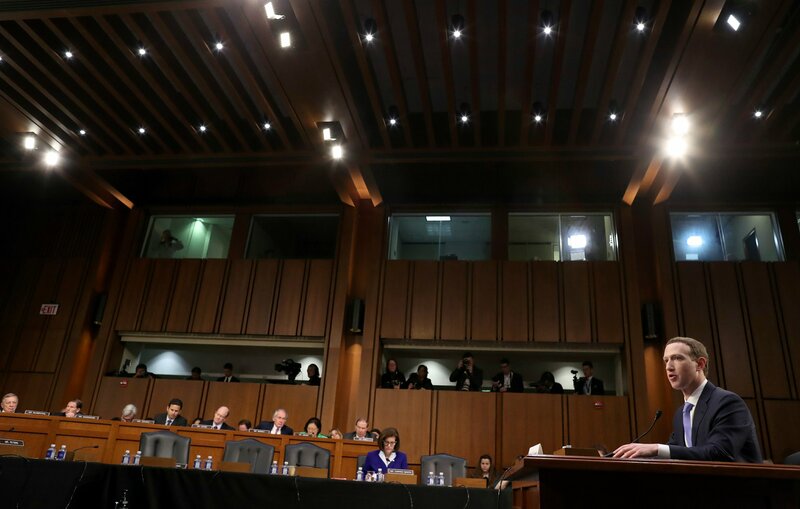 Facebook’s founder and CEO, Mark Zuckerberg, published a column last month in the Washington Post calling for tighter regulations to protect consumer data, control harmful content and ensure election integrity and data portability. A sweeping “privacy shield” law in the European Union, covering how tech companies handle personal data in the 28-country bloc, should be a model, Zuckerberg wrote. EU regulators recently fined Google $1.7 billion for freezing out rivals in the online ad business — their third penalty against the search giant in two years. The EU watchdogs have also ordered Apple and Amazon to pay back taxes and fined Facebook for providing misleading information in its acquisition of WhatsApp. The entire debate cuts to the heart of Big Tech’s hugely profitable commerce in online users’ personal data. The companies gather vast data on what users read and like and leverage it to help advertisers target their messages to the individuals they want to reach. Facebook drew 99% of its revenue from advertising last year. For Google’s parent Alphabet, it was 85%, according to Scott Kessler of the research firm CFRA. Amazon, too, doesn’t just sell products online; it provides ad space, too. The company doesn’t say how much but has said that the “other” revenue in its financial reports is mainly from ads. Its “other” revenue topped $10 billion last year, more than double what it was in 2017. The tech giants’ problematic relationship with advertisers was spotlighted by action regulators took last month. The Department of Housing and Urban Development filed civil charges against Facebook, accusing it of allowing landlords and real estate brokers to exclude certain racial or ethnic groups from seeing ads for houses and apartments. Facebook could face penalties. “I think it’s likely we are going to pass a national privacy law by the end of 2020,” David Hoffman, Intel’s associate general counsel and global privacy officer, said in an interview. “The California bill is responsible for 90% of the lobbying and political pressure to pass a national law,” said Robert Atkinson of the Information Technology and Innovation Foundation, whose board includes tech executives.